A sweet, long-distance finish; enough to justify the hype? He’s 21, he was born on English soil and he’s a first-choice striker in a strong Premier League team. In a short span of three and a half months, Harry Kane rose from being that backup player who’s cherished by the fans solely because of his local roots, to being a hope for the entire nation that won nothing since 1966. With Daniel Sturridge spending more time recovering from injuries than playing and Raheem Sterling going through a massive dip of form – so far, only 7 goals and 6 assists in 30 appearances this season – Kane’s sixteen goals between late September and mid January really do impress a lot; so much, that the English press, so desperately starved for any success for the locals, already managed to compare him to both Wayne Rooney and Gareth Bale. They do have their fairytale: in a team injected with over 100 million pounds worth of transfers, a youth academy recruit rises to take the splendour. And that’s true. But not everything is so rosy. Let’s start off with Rooney – the youngest ever goalscorer for Everton and at the time, the youngest ever goalscorer in the whole Premier League. Back in the time when grass was greener, Arsenal was stronger and Alex Ferguson was obsessed about winning silverware more than ever, Rooney came out of nowhere and bagged goal after goal like it was nobody’s business. He scored a long-distance match winner against 30-game undefeated team of Gunners despite getting only 10 minutes of playtime late into that game. But – but, that was when he wasn’t even 17 years old. Not even 17. What’s more: he wasn’t even 20 when he signed for Manchester United for £25.6 million pounds and soon scored a hat-trick in his MU début – in a Champions League game against Fenerbahce. And did he really grow to be a player comparable to Messi, Ronaldo, Robben, Xavi? Unfortunately, no. And, if so, can Kane, with much less impressive record at the age of 21, do it? Then, Gareth Bale. We all remember his record-breaking transfer. We all remember the CR7-like abilities he constantly exhibited two years ago, before that transfer was done. Hell, we all remember what he’s done to Inter on that foggy night in 2010, when every other Tottenham player gave up at 0-4 and he had to do it all on his own. The player of gladiator’s demeanour, ruthlessly involved in every attacking move of his team, persistent. The player every opponent loathed to play against. The one-man match winner. Is the same aura of invincibility around Kane at the moment? No. Not even close. But is there a potential for it; a potential the likes of Bale and earlier: Henry, Shearer, Drogba, Van Nistelrooy enjoyed? Yes. However, at the moment, the length of Kane’s legacy (?) makes the difference; unlike all these players, he’s is basically a rookie and some of his precious time he should’ve spent playing in EPL was wasted on the second-rate pitches of Leyton Orient and Millwall. The hype needs to be backed up – now. We all know how this ended up in that movie. Another thing is the opposition. Tottenham had a rather mild run of fixtures to feast on so far. Notthingham Forest, Asteras Tripolis, Burnley, Hull, Leicester… – those aren’t teams that should remain unscratched by Spurs regardless of which forward plays as a main striker for Pochettino’s team. If not for the two killer blows against Chelsea, Kane’s ability to really make the difference against top teams would still be heavily in question. But even with these goals: let’s not forget how much of a liability Gary Cahill has been recently and how uncharacteristically open approach Chelsea took in that game – presumably, assuming that Spurs will be as weak as in their previous game against The Blues. For those who uncontrollably drooled over Kane: in December, Tottenham lost 0-3 at Stamford Bridge; Kane registered one shot that hit the post, another shot that went wide and won one corner for his team – rather bleak contribution from a striker who plays full 90 minutes. One thing to note here: the burden on arms of Tottenham’s offensive trio is quite heavy. With 46 goals conceded in 41 matches this season, only 12 clean sheets scored mostly against lesser teams in cup competition and with Hugo Lloris digging the team from ever deeper trouble – Spurs are not the side you could see coasting to victory after taking the 1-0 lead; they always need more goals than that. After all, only seven Premier League teams have conceded more goals than them! And that’s the reason Kane’s effort counts the most. True, his team still has Emmanuel Adebayor and Roberto Soldado on a payroll, but let’s face it: at the age of 30 and 29, notoriously sidelined and scoring this few goals (the Spaniard: one in 7 apps, the Togo citizen: two in 7 apps) – those lads are gone with the wind. Especially Soldado. The player worth £26 million 18 months ago literally evaporated – and if not for Balotelli’s even bigger flop at Liverpool, he’d be still derided for what he’s done on English playgrounds. Unlike his older colleagues, Kane at least has exactly the versatility of a lone striker Spurs need to successfully maintain their 4-2-3-1 system. He might be not as smart without the ball as Soldado was for Valencia or as physically strong as Adebayor is, but he’s improving on both of these departments – and there are more decent qualities to him the other strikers in London don’t have. For instance, holding onto the ball. Currently, only Diego Costa does it better than Kane, but in terms of finesse, the Brazilian martial artist has to be considered second-best to the English lad. The toast of White Hart Lane also triumphs over Costa when it comes to chasing the lost balls – not by a large margin, but still, he looks better with the pace and strength, he himself admitted to have picked up recently, after tons of effort to improve these. The main thing he does lack compared to Chelsea’s #9 is the experience; he wasn’t tested against Barcelona; he’s never been to a Champions League final. 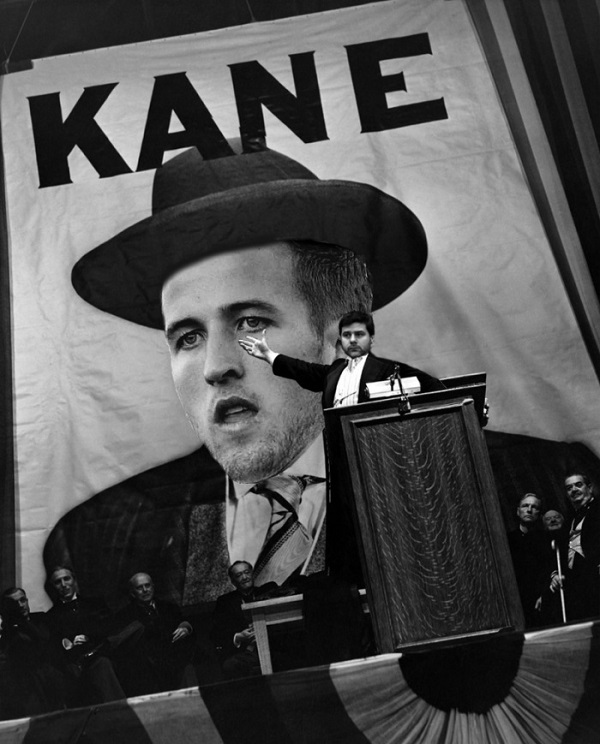 And, with Tottenham, chances are – he’ll never be. Ripping through Chelsea; his future, however, is still in doubt. That’s why we need to wait and see the progress of the kid before we jump to premature conclusions. Unlike Rooney, unlike Bale, Kane doesn’t have the flair to strike whoever’s watching him immediately; these qualities must develop in him, as well as the rock-solid numbers of goals and assists to back the good performances up. The first, testing ground is here and now. The videos of him taking on Cahill, Terry, Ivanovic and whoever else he ran over will be repeatedly replayed at home by Premier League managers; the instructions how to keep him quiet will be invented and given to the defenders of Manchester United, Southampton and Arsenal; the teams that are most likely to be racing with Spurs for the Champions League qualification. With Adebayor, Soldado and no transfer activity from Spurs this winter, he’s alone on this goalscoring spree. Next stop: Leicester City, Saturday,the third worst defensive line in the league. Is this the start of a dream or just another cheap thrill?